Collection functions are central to productive F# coding. 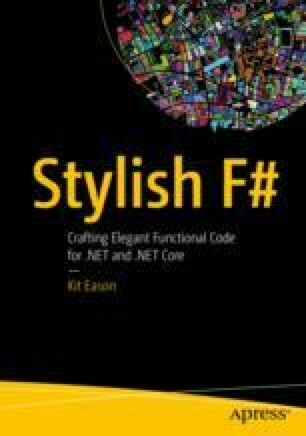 You can’t get by without a good working knowledge of the F# collection functions, and how to fit them together. We see how a large proportion of your F# code should consist of pipelines of collection functions that map, filter, summarize, and group data to get from the inputs you have, to the outputs you want. We learn how use collection functions to solve complex problems with simple code.